Houmous extra by Yarden is quite possibly the best pre-made humous on the market! 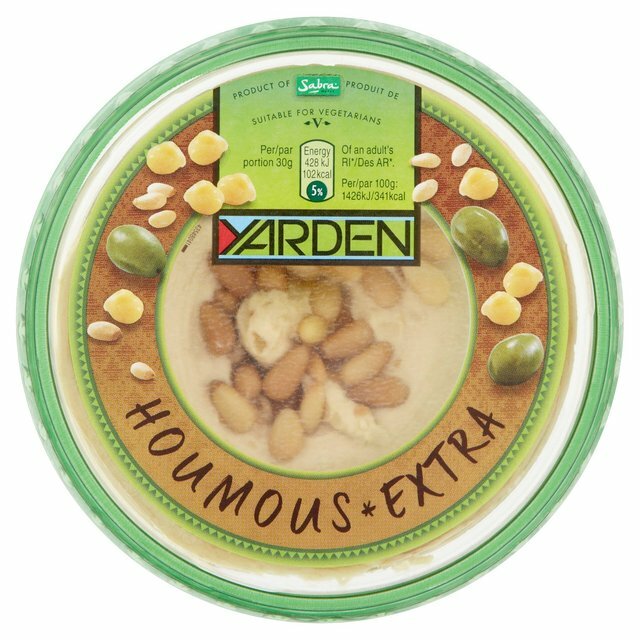 That humous really does give you extra…compared to the standard brands of houmous, Yarden’s delight gives us a texture smoother than an aero’s insides. It’s perfectly whipped poise greets us satisfyingly as we peel back the plastic facade, securely guarding such a delicate paste from the harshities of the outside world. The perfectly placed pine nuts, both resting atop the main body with visual splendour AND carefully suspended within, are a rarity scarcely found in the wide array of Houmous options gracing fridge shelves in supermarkets countrywide. Houmous extra can even be found in extra places. It is a dweller of off licenses and health food shops from Fulham to Dalston and is a firm favourite on Cambridge Heath road, serving the rehearsal spaces for “Sink the Pink” trannies night and day. All in all Yarden have truly delivered what they say on the tin / plastic pot.